Coverage for all would produce costly side effects. Gradual change is a better antidote. 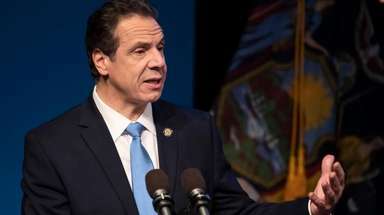 The New York Health Act, which would launch state-financed single-payer health care in New York, has passed in the state Assembly four years in a row but gotten nowhere in the Senate. But the politics of the moment are creating serious talk around this idea. The law would be a boon to the 1.1 million people who have no health insurance. And it could help many of the 18 million New Yorkers who have insurance but must pay large premiums, deductibles and copays. But President Donald Trump has made it clear he won’t grant a needed waiver or allow the state’s federal Medicare, Medicaid and Affordable Care Act funding to be used for a single-payer system in any state. So the debate right now is just about the idea of single-payer health care. The Assembly plan would cost a fortune, but much of it would be covered by moving that federal funding to single-payer. A study by the RAND Corp., a think tank, concluded that a single-payer system would force New York to raise another $139 billion to cover the program for 2022, the first year it modeled. This plan would raise that money through a huge increase in the state income tax, offset for some companies and individuals because they no longer would have to pay for care or coverage. The RAND study made some assumptions to raise that $139 billion. The state tax rate now ranges from 4 percent to 8.82 percent. Under the projection, the state tax would rise to 10 percent for the first $27,000 in household income. For earnings between $27,000 and $141,000 it would be 18 percent. Above $141,000 it would be 27 percent. Employers would pay 80 percent of the increase, employees 20 percent. But the self-employed and people whose income comes from investments would pay it all. According to the study, 90 percent of New Yorkers would pay less under the plan. About 10 percent would pay more. But the top 5 percent of households would pay about $150,000 more a year to fund the program. Trouble is, many of them wouldn’t pay. They’d take their money and leave New York. If the top half of 1 percent of earners fled, the plan would come up $33 billion short in its first year. The study also acknowledges we can’t know how much demand would increase when medical services are free to all New Yorkers, or how that would affect care quality. And what would be the effect on the economy of shuttering health insurance companies? How could we persuade young people to become doctors and nurses with the threat of lower pay while training remains expensive? These are questions that could be answered via a long-term plan to convert to a single-payer system nationwide. The federal government can create more access to Medicaid and buy-ins to Medicare. Offer free medical education for students who would then provide free care at lower salaries. Bargain to reduce drug prices. Incentivize providers to give cheaper, better care, and incentivize consumers to make prudent decisions about seeking services. “Single-payer now!” is a wonderful slogan. It’s likely the future of health care in the United States. But right now, we must find a way to get health insurance for the 6 percent of New Yorkers who lack it without devastating the system that provides coverage for the other 94 percent.